On the verge of a rainy day, there were so many more things we could have tried to squeeze in, but the woods were calling. 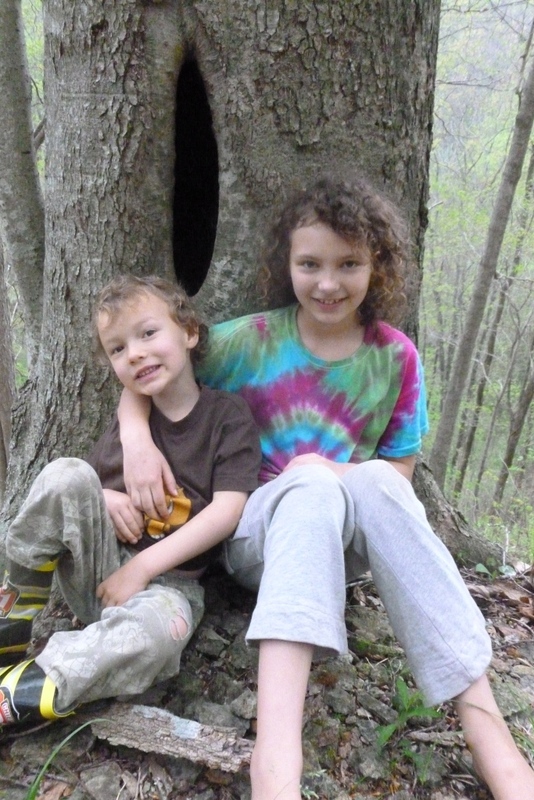 We headed out to our favorite patch of Jackson County hillside. Lulah decided she wanted to go to the very top of THAT hill. (It’s a steep one.) Levon declared himself finished about 3/4 of the way up, but with a little support he made it up the final scramble. 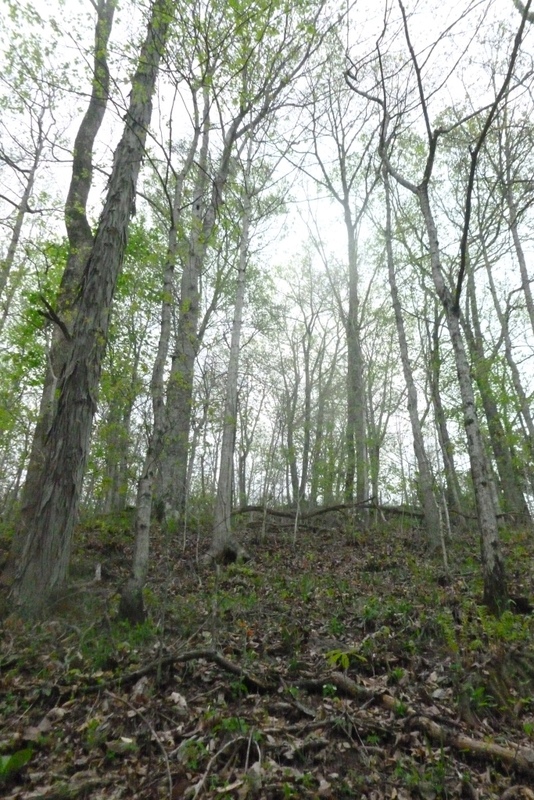 We walked on deer trails, proving time and again as we slipped and slid that we are not deer. We sometimes clambered with our hands as well as our feet. There were places that felt as though they had rarely been walked upon by people. So steep and rough, but also deeply quiet and beautiful in a way that could not be maintained in the presence of very much traffic. And such an abundance of flowers. 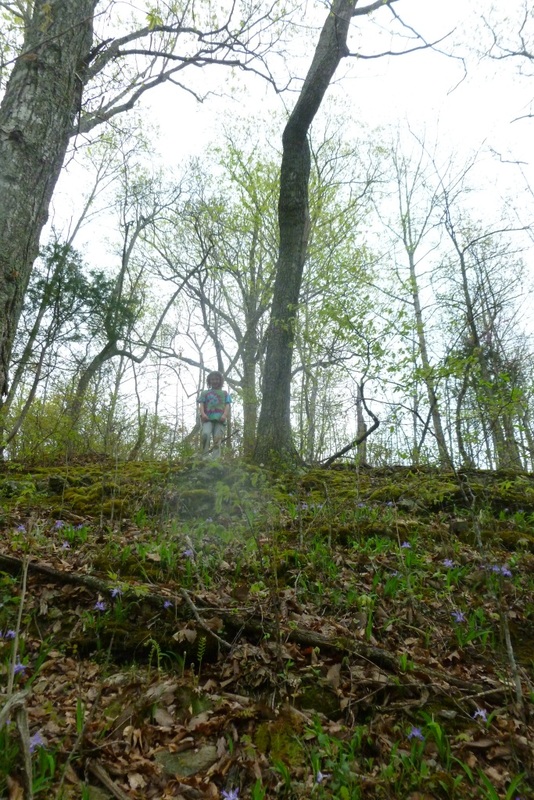 Down in the hollow there was the standard array of trilliums, may apple umbrellas, violets and phacelia. On the way up the selection changed, with fire pinks, clumps of delicate sedum, violet wood sorrel, and a patch of blooming paw paws to delight our senses. At the very top of the hill there was an out cropping of upland blueberries in bloom that I don’t remember seeing before. 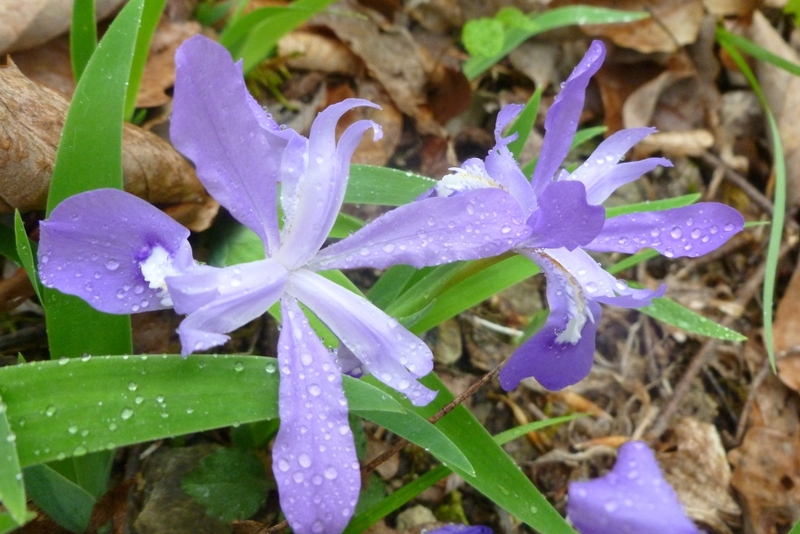 But the biggest thrill was happening upon this huge the cascading blanket of dwarf crested iris in bloom. Spring is just exactly what we needed. What a gift. 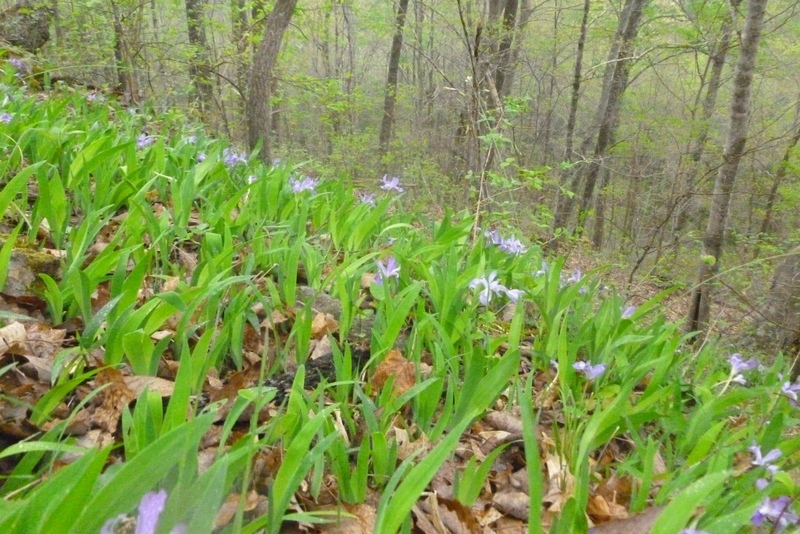 This entry was posted in coree's posts, right now and tagged flowers, spring, walking, wildflowers by Coree. Bookmark the permalink. Oh, how I love crested Irises! they do something special to my soul.